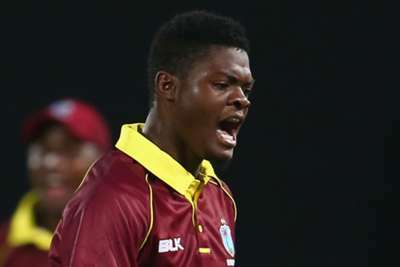 Alzarri Joseph has been called into West Indies' 13-man squad for the second and final Test with Bangladesh, while Kemar Roach is absent because of a hamstring strain. The Windies bowled Bangladesh out for 43 - their lowest Test total - in the first innings en route to a commanding victory in the first Test in Antigua last week, Roach taking 5-8 to skittle the tourists. He did not bowl in the second innings as the Windies clinched the win by an innings and 219 runs. And seamer Roach will not feature in the second Test in Kingston, which starts on Thursday, 21-year-old fast bowler Joseph taking his place in the squad. Joseph has six Test caps to his name, taking 15 wickets at an average of 38.86. He took 4-53 for a West Indies Cricket Board XI against Bangladesh before the start of the series. West Indies squad: Devendra Bishoo, Kraigg Brathwaite, Roston Chase, Miguel Cummins, Shane Dowrich, Shannon Gabriel, Shimron Hetmyer, Jason Holder (captain) Alzarri Joseph, Shai Hope, Keemo Paul, Kieran Powell, Devon Smith. 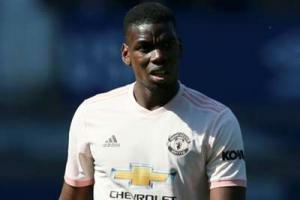 Manchester United were humiliated by Everton on Sunday and Paul Pogba has demanded a response in a passionate rallying cry.